There will be a new squash champion on Saturday at the Motor City Open presented by the Suburban Collection. Four former MCO champions came to Detroit this week hoping to become the third two-time champion in the pro squash event’s 20 years. All of them fell throughout the week, though, as Diego Elias of Peru and Mohamed Abouelghar of Egypt assured there would be a first-time MCO champion. Elias opened Friday’s semi-finals with a dominating three-game victory against top-seeded Marwan El Shorbagy of Egypt, 11-7, 11-4, 11-1, knocking off the defending champion in 30 minutes. The semi-final was a rematch of last week’s J.P. Morgan Tournament of Champions in New York City, with Elias winning that one in four games. PSA M70 Men’s $70,000 Suburban Collection Motor City Open 2019, Birmingham Athletic Club, Bloomfield Hills, Detroit, USA. 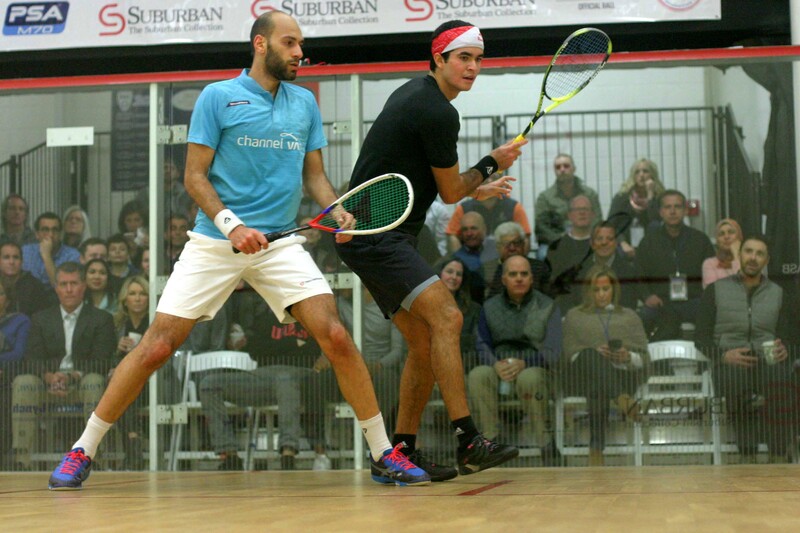 (4) Diego Elias (Peru) v (3) Mohamed Abouelghar (Egypt), 6:30 p.m.